To provide my patients with the best possible quality eye care and treat them with compassion in a professional and ethical manner. Dr. Zhang is a senior staff member in the Dept. of Ophthalmology and has been with HFHS since 1999. His practice focuses on refractive cataract surgery with premium implants including: pseudophakic monovision, multifocal, toric, accommodative, extended depth of focus implants and femtosecond laser assisted cataract surgery. His colleagues often refer high risk surgical cases and other special refractive cataract cases to him due to his reputation of high-quality surgery. Since 2014, Dr. Zhang has been invited annually by American Academy of Ophthalmology (AAO) and American Society of Cataract & Refractive Surgery (ASCRS) to lead the Breakfast with the Expert round table seminar. He is frequently invited to be a keynote speaker at international conferences. Dr. Zhang has publications in prestigious journals and has nationally recognized research, and innovation projects. He is a part of AAO, ASCRS, AMA and MSMS. Together with world renowned experts Dr. Alan Sugar and Dr. Graham Barrett, his first book Pseudophakic Monovision, A Clinical Guide, was published in October 2018. 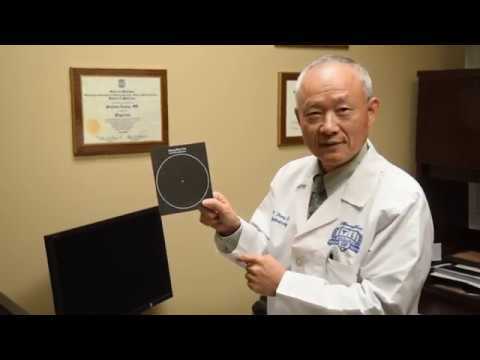 His patent-protected invention: the Zhang Ring Test, an at-home test to promote early diagnosis of retinal detachment officially launched in October 2018 by Precision Vision in Chicago. The Zhang Ring Test is the only test available in ophthalmology history of the world for high risk patients as an easy to use monitoring tool to promote early diagnosis of blinding retinal detachment. Annually Invited by American Academy of Ophthalmology and American Society of Cataract and Refractive Surgery to hold "Breakfast with the experts round table seminar" since 2014. Invited keynote speaker by 3rd World Conference in Ophthalmology in Singapore, September 3-4, 2019. Outstanding Alumni Academy, Department of Blind Rehabilitation, Western Michigan University, In Recognition of Professional Excellence and Civic Leadership, April 12, 2002.